Allister is responsible for the dual roles of marketing and production. He came back into the family business in 2000, after doing vintages abroad and working in the wholesale wine trade. Allister has followed in his father’s shoes of being inducted into the Barons of the Barossa: a recognition of efforts and service for the region. He has previously sat on the board of Barossa Wine & Tourism, and also the BGWA (2011 -2013). He was the chairperson of the Distinguished Wine Auction from 2008 – 2013 which raised circa $360k to help fund the Barossa Vintage Festival. 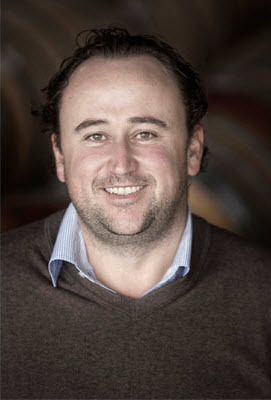 In the past he also chaired the Barossa Winemakers’ Committee (2006 – 2009). Allister was one of the first chosen in the inaugural Future Leaders Course conducted jointly by WFA and WA, and briefly sat on the Market Development Advisory Committee after completing the course. Allister was inducted as a Baron of the Barossa on 7 November 2009. Allister and Rebecca were married in the Command Cellars at Elderton in November of 2004 and look forward to a future of fun, happiness and of course, lots of wine together.